The 15th Annual High Desert Dance Classic was held March 8th-10th in Lancaster, CA. 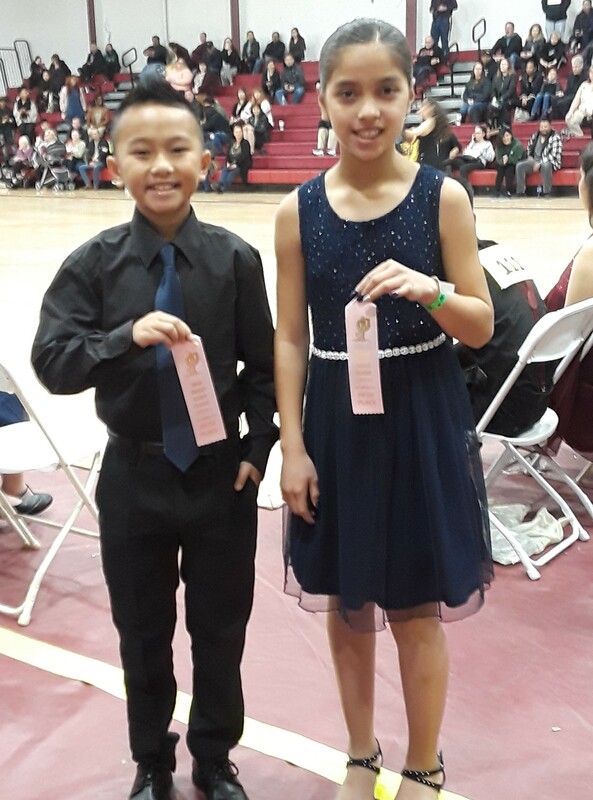 American Union’s Dance Force Ballroom Dancing Team participated in both the competition and accompanying workshops focused on Ballroom Dance technique. Coached by AU teacher, Sally Dawson, team members Adaleny Ochoa and Constance Yang earned 5th place in the ChaCha and team member Jennifer Meza placed 6th in Bachata. The team is open to all sixth, seventh, and eighth-grade students interested in dance and everyone is encouraged to join. This year’s participants are Mia DelToro, Ezilea Hernandez, Jennifer Meza, Adaleny Ochoa, Constance Yang, and Nadia Zamora.